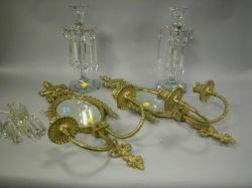 Save your search - find out immediately when "Crystal Sconces" is available at auction! 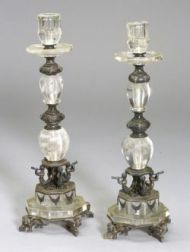 Pair of 19th Century Gray Cut-Crystal Two-Arm Sconces. 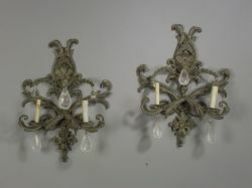 Pair of Neoclassical-style Mirrored Brass Wall Sconces and a Pair of Crystal Lustres.